Raising chicks is not only rewarding, it can also be highly profitable. However, to ensure your chicks are being raised right, you’ll need to fully understand when they’re able to leave their brooder, go into the coop, and eventually be outside. Although this may sound like an easy question to answer, it really depends on several different factors. So, when can chicks go outside? Baby hen chicks that are raised by their mother are usually outside from the start, but they still depend on their mothers for warmth, food, and love. Baby hen chicks like to explore their environment, but once they get frightened, they always run back to their mothers. As time goes on, the baby hen chicks grow up and begin to be self sufficient. Incubator raised chicks on the other hand should not be taken to the outside right away. In fact, there is a process you should follow. It’s important to follow this process, so the chicks develop and grow properly. Follow the steps below to ensure you’re introducing your little ones to the outside at the right time. So now, let’s answer the question, when can chicks go outside? 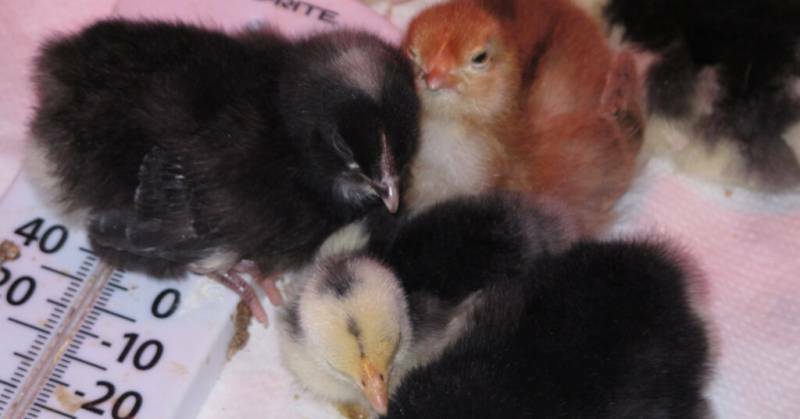 One of the main factors that comes into play when deciding when to move your baby chicks from the brooder to the outdoors is the kind of weather your area is currently experiencing. Chicks that are born in the warmer months won’t need their heat source as long as chicks born in the colder months. As a result, it takes longer period of time to raise these chicks. As a chick becomes fully feathered, their ability to regulate the temperature of their bodies becomes easier and easier. Usually after about 6 weeks, chicks are fully feathered. This is one good sign they can handle being taken on a short trip and eventually in the chicken coop. Like mentioned above, if your baby chicks are born in the winter, they’ll probably require more time in the brooder than chicks who were born in the summer. The chart below is a basic guide to how warm you should keep your brooder in regard to how many weeks old they are. After 6 weeks, you will be able to start taking your chicks to the outdoors with no supplementary heat source as long as the weather outside is at least 65° F. If by chance you do take your chicks outdoors, and they’re not ready, they’ll let you know. How exactly? If you take your chicks outdoors and they’re not ready for it, they’ll let you know. Chicks that are cold and unhappy will start to squawk and make a lot of noise. This is not to be confused with the noise these baby birds make when they’re excited about the new environment they’re in. You’ll want to make sure that you get your chicken coop properly prepared before you start the process of moving your chicks to the is area. So, what does this include? First, you’ll need to determine whether or not your chicks will need an alternative heat source. If so, make sure there’s reliable electricity available. Your electricity will need to be wired correctly, so your chicks won’t be able to peck through the wires and electrocute themselves. 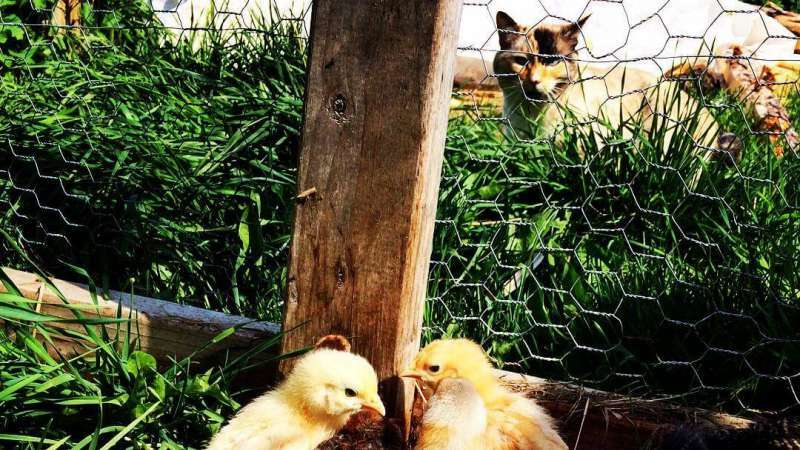 Another consideration you’ll want to think about is whether or not your chicken coop can keep predators out. This is very important to the survival of your baby chicks. When designing and building your coop, use hardware cloth. For those who are unfamiliar with what hardware cloth is, it’s wire mesh that’s constructed of wires that are either woven or welded together. It’s reliable, durable, and will get the job done. Raising a large number of chicks is also something you should consider. Every baby chick produces its own heat, and when you get a lot of chicks together in a confined space, their body heat works together to keep them all warm and cozy. The last thing you should consider is removing the hen from the chicken coop or wait until the chicks have become fully matured to introduce them this new environment. Why? Small chicks can be seriously injured by the big hens either by mistake or due to the pecking order. Once you know that your baby chicks are ready to be introduced to the outdoors, you don’t want to just throw them in the coop and walk away. This would have a very shocking effect on them. Start by taking them outside for short, little trips. You can do this by putting them in the grass or the coop for just a little bit, and then take them back to the brooder. Repeat this process until they get comfortable with their new environment. Not only are short trips to the outdoors good for your chicks’ comfortability, they’re also good for their diets, it allows them to get their exercise in, and they give your chicks the experience they need to adapt to the outside elements. After you have taken your chicks on a few short trips, and they’re comfortable with being outdoors, you can now place them in the chicken coop for good. If you’re wanting to eventually let your chicks roam freely on your farm, it’s highly recommended you keep them in the coop for quite a few weeks before letting them roam freely. One of the main reasons for this is because chicks that are given this period in the coop will understand when the sun sets and rises. Chicks that are not given this time in the coop will not know that they should return home at dusk. As a result, they’re more vulnerable to various predators like larger birds, cats, and wolves. If you are choosing to let your chicks roam freely instead of keeping them in the coop, you’ll want to make sure there’s always food and water available. Even if your chicks are eating grass and other nuggets they find in the lawn, that’s just not enough to keep them nourished. Another thing you’ll want to make sure you provide your free-roaming chicks is some sort of shelter. This is especially important when it’s raining, snowing, or the wind is blowing hard. Above all, take care of your chicks just as you would another pet.